Summers are such a magical time. The sun is out, the skies are clear, the flowers are blooming and well even though the India summer doesn't guarantee a respite from the sweat and humidity, it is still a chirpier time of the year. 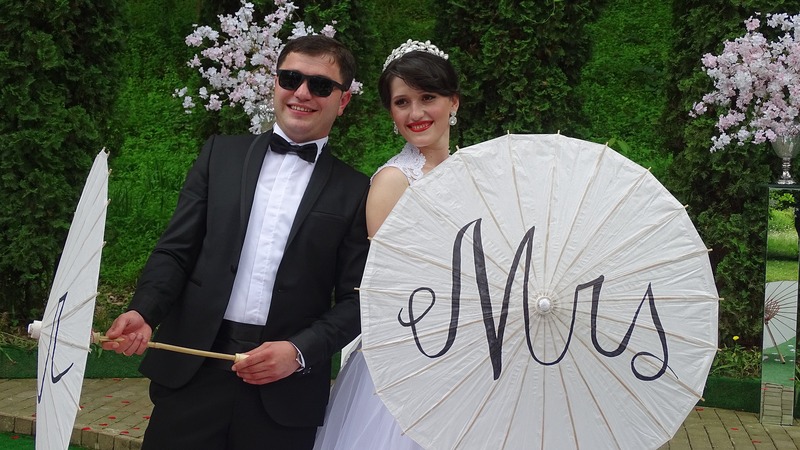 And if you are getting married during the balmier summer months then rest assured there is so much outdoorsy fun that you can have that it will be the season worth remembering. If you are planning a summertime wedding here are some totally slurpy summerlicious ideas to incorporate. Summer fruits as centerpieces: Forgo the flowers. Think of strawberries, blueberries, juicy peaches and abundant summer offerings arranged neatly in fruit trays to serve as your centerpieces. And yes guests are most welcome to partake it. Trust us there never has been a more delicious centerpiece than this. Create juice bars: Soak up the summer fun by calling for a juice bar. Have everything from a strawberry slurpy to mango shake to pineapple and mint coladas. Your guests would love sipping on summer goodness while you tie the knot. How about a special summer cake: If you are planning to cut a cake then how about ordering a special ice cream cake for your guests. This will be a lovely surprise for all your guests plus a summer treat such as this one who would want to say no to? Summer saviors for your guests: If you are having a party outdoors during the summer noon, it may be a fun twist to keep a basket handy with summer hands, crazy sunglasses, and hand fans. Not only will they serve as great props for your summer wedding they will also come handy for your guests when the sun gets a tad bit unkind. Keep the palette soothing: The color scheme should be the colors that soothe your soul during summers. Think of dusty pinks, lemons, lilacs and soft greens. Sometimes it is the decor that sends out those chilled vibes that one does not mind the heat even when it gets harsh. That's the cool ambiance you should aim at creating for your wedding. And now for the palate: Not just the decor but also your menu should also offer delicacies that go with the theme of the time of the year. A greasy mutton korma is a delight to have but does not compliment the seasonal eating. How about carefully choosing your ingredients. Include simple appetizers such as cut tomatoes with a slice of mozzarella or citrus salads with cold gazpachos. Including delicate flavors such as lavender in your desserts may also spell the summer romance like nothing else. Now come on tell us who would resist being offered a lavender kheer or a tutty fruity fruit burst ice cream? For the main course too think of lighter lentils and a lot of finger food. Also, keep your guests hydrated with a plenty of tasty drinks to choose from. And yes, your juice bar should serve you just right for that. May 18, 2018, 6:57 a.m.